Before you build anything or tear anything down you should find out whether a building permit already exists on your home. The following post describes how to request existing building plans from a city authority. In our case we had to apply for a “Records Disclosure Request” from the City of Toronto. There is an extension on the back of our house that we are planning to rebuild (burst pipes and poor insulation being some of the reasons). Our knee-jerk reaction to realizing there were a lot of issues with the extension was to demo the WHOLE thing and start over. However, we decided to approach this a bit more cautiously and see what (if any) building permits already existed for our house, in particular for the extension portion. 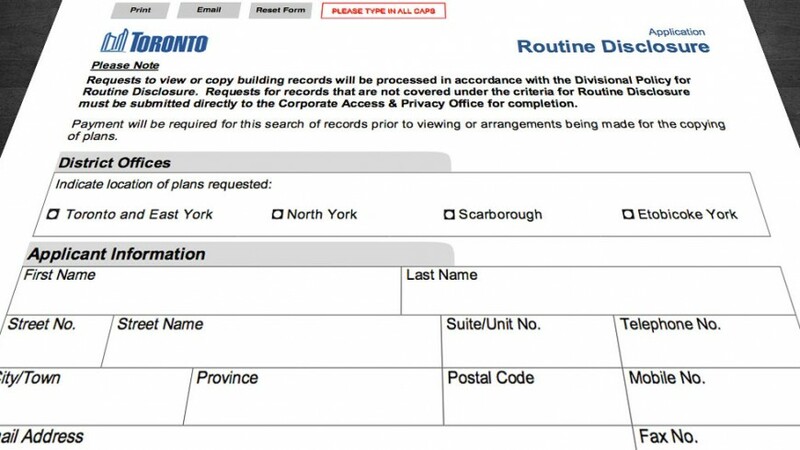 As a homeowner in the City of Toronto you have the right to request existing building plans or applications for permits that were made on your property in the past. Doing this is called a “Records Disclosure Request”. The guide to doing this is published by the City and you can find it on the Records Disclosure Request Guide page. 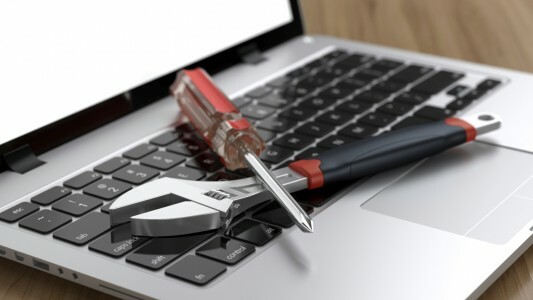 Alternatively, if you have a general contractor or other third party managing your construction, with your written consent, they can request it on your behalf. The form to do so is a pdf document that can be completed online and printed for signature. The form can be submitted in person or by email (details in the guide) which is much more convenient for us given that we work during the City’s business hours. Once your request has been received and approved the City will process the request and perform the search. Their timeframe given is that they “endeavor” to process such requests within 30 days. Start the clock… we’ll see how fast they actually work. One thing to mention is that if you don’t act on the information within 30 days of the City notifying you then they will consider your search abandoned. Of course there is a cost associated with this. The fees posted online for a Routine Disclosure are $66.60 for each plan, file, drawing or record plus any copying fees when you go to pick up the documents. We have only gotten to the stage of submitting the application so we’ll post again once we find out if any building plans already exist and how much it cost us to get copies made. Stay tuned! Has anyone else requested building plans from their city? What was your experience like and did you get any useful information?